These are without a doubt top tier Everlast. Even though they're one of the best for Everlast, that doesn't mean they can knock off Winning or Reyes off their thrones. These gloves truly are remarkable but the big downsides are both the price and quality control. The quality does not justify the price which is very disappointing considering the performance is exceptional especially for Everlast. Everlast Powerlock have become my new bag gloves because well I truly enjoy using them and I'm also trying to further test the durability. As I mentioned, other users have reported short lifespans but I just don't understand how. Overall Everlast made a great glove and while it's overpriced it is possible to get a good deal on them. If you manage to score some Powerlocks for under $90 you'll get every last penny out of them. If you pay the $150 though I have to say that was a bad decision and there are custom gloves out there that actually go for cheaper. Above all though, Everlast crafted a winner. These are some of my new favorite gloves now and I have no doubt in my mind that if you get them for the right price you will enjoy them. Everlast is undoubtedly the most well known Boxing brand. It is the brand that beginners usually start off with. 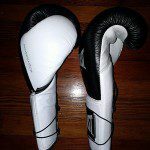 In any sporting goods store you will find a section of Martial Arts gear with Everlast making up the majority of that gear. While Everlast is now known as one of the worst brands available, these Everlast Powerlock seem to sort of distinguish themselves from the rest of the products. I ordered these mainly to test them out. To, “sacrifice,” my wallet in order to help calm the curiosity of those who are interested. With that being said though I have been very surprised by them. They have become my main bag gloves for now but that’s not to say they aren’t without their issues. 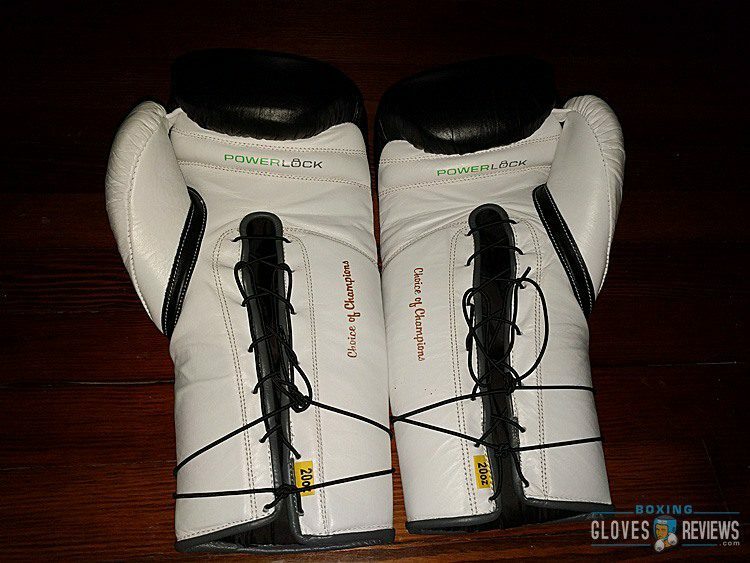 Everlast uses some sort of layered padding for these gloves. As I’ve stated in other reviews, layered is my favorite. At first though these gloves felt very stiff, the padding was firm and I hated them. Out the box I could only open my hand some 30% and there was a lot of resistance. Paying over $100 for a glove and having to break it in is obnoxious in my opinion. Only the outer layer felt remotely soft. After a few rounds though the gloves softened up quick. Now even the inner layer is soft and sort of molds to the user’s hands. 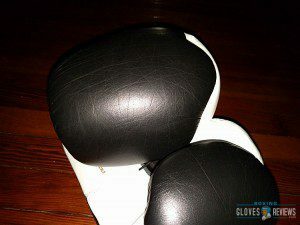 The gloves took some five to ten rounds of bag work to break in nicely which was definitely a welcomed surprise. The wrist support is a little off. First the palm side padding is sort of pathetic. I have had no issues with it but all it is, is two thin, very dense sections of padding on both sides, nothing else. The back of the wrist is a lot better but still strange. The innermost layer is almost like some sort of memory foam, a pillow that allows your wrist to sink into it. Then there’s a layer or two of very dense, firm foam that acts as the support. The protection is where these gloves truly shine. The Powerlocks do an incredible job at absorbing shock. No matter how hard you throw these gloves protect your hands the entire time. The wrist support is also acceptable. The only problem is the very minimal palm side padding. While I haven’t hurt my wrists in these, sometimes you do feel a slight shock. Nevertheless though even on the most dense parts of my bag these gloves protected my hands through and through. The only other slight issue I could find is that with straight punches sometimes I could feel shock at the tip of my thumb. I never jammed my thumb but I did feel that shock. Overall these gloves perform very well. These being 20oz they’re exceptional protective gloves to train in. Personally I wouldn’t use mine for sparring because 20oz is over a pound flying at someone’s head and there are better, cheaper sparring gloves out there. That being said though they can be used for sparring but I would recommend the 14oz or 16oz variants instead. 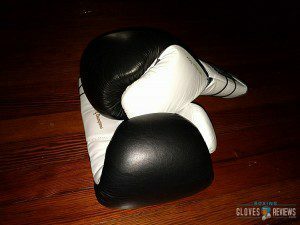 Also definitely break them in through some rounds on the bag before using them to spar. As mentioned earlier, these gloves were stiff at first which completely ruined the comfort. After just a handful of rounds though they broke in nicely and have become really comfortable. The inner padding does a fine job at shaping to your hand. The hand compartment is also a tad wide but I prefer that as it leaves more room for wraps. The thumb is sort of awkward. First of all it’s a little too forward which is most likely why I can feel the shock. That being said though the thumb is also wide which allows me to move my thumb into a better position. The seam pinched ever so slightly out the box but sense the overall glove has broken in I don’t feel the pinch at all now. The liner is one of my favorites. It’s very soft, smooth, inviting. Just like my Winnings or C17s I like to scratch the liner in between rounds just because of how great it feels. That being said though, the Powerlocks liner doesn’t beat Winning’s but it’s definitely a great liner and does a fine job at controlling sweat. These gloves also do not get ridiculously hot which is great considering they don’t have any vent holes. I love the design of the Powerlocks. I am a little disappointed that they didn’t use similar color schemes for the trainers and pro fight gloves though. The black and green pro fight gloves look incredible that being said though the trainers look great. Part of the reason I got these was for those green laces as they added great contrast but I actually received white laces. The overall style is a little flat, simple, clean and that’s just my style. I think it’s elegant, it’s quiet, it’s nothing obnoxious. The logos are small and look professional, Everlast doesn’t use any insane designs. They added, “Choice of Champions,” in gold print on the palm side which is a nice touch. Here is where the Powerlocks sort of fall from grace. Everlast has terrible quality control and while the quality of these gloves is better than usual it still doesn’t justify the price. Regarding the leather, it’s not the best leather I’ve seen but it’s acceptable. Personally I hate the white leather, it looks more flat and boring when compared to the black. The black leather shines more, it has an overall better look. That all being said though the leather works and has almost no blemishes. The stitching on these is fine. For the most part it’s neat and clean but in some areas such as the cuff there is irregular stitching. The white leather of the cuff also has markings as if someone scratched the leather. The gold print of the right glove also has some stray dots of ink. Personally I don’t mind it, the dots have grown on me but that’s just another example of typical Everlast quality. You can also find bits of the leather that were punched out for the lace holes. 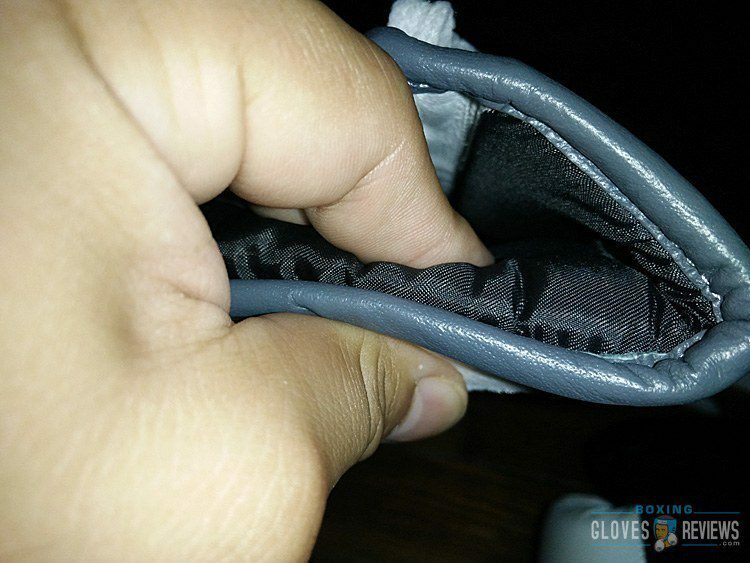 Another example of Everlast’s poor quality control is the wrist padding. On one of my gloves it looks like the padding almost overlaps the piping on the cuff. As if the padding was oozing out towards the bottom. 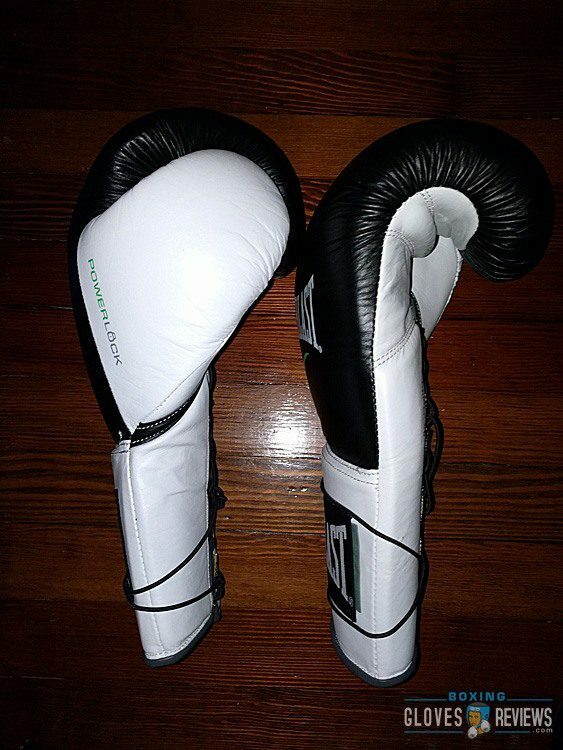 While this doesn’t hurt performance, it hurts the overall look and further proves that Everlast has poor construction. These gloves are true to weight. 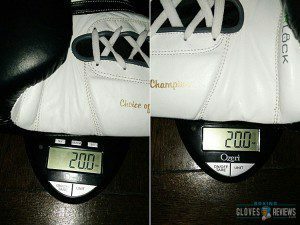 Each glove weighed 20oz. The weight is distributed very well throughout the glove as there is no give anywhere. Given the poor QC of the gloves, seeing them weigh exactly 20oz was a great surprise. That all being said though my gloves aren’t falling apart. 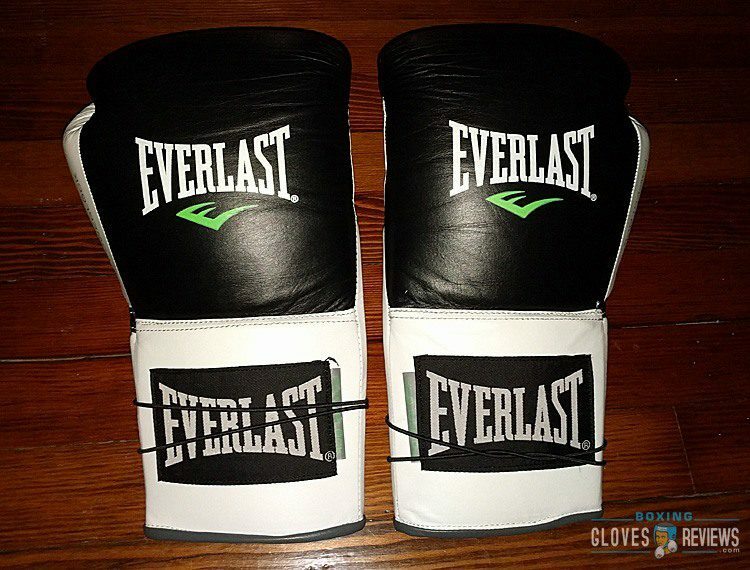 Like I said these are better than usual Everlast. I was actually surprised to find them in good shape out the box. As for durability though, they’re holding up great for me. Other users have reported broken padding after just a couple months. They have mentioned terrible durability. Honestly though I don’t see these gloves breaking down on me anytime soon. Even the cheap sporting good Everlasts have lasted me years and the only true issue I’ve had with those are ripped liners. I will have to update the durability but like I said, I don’t expect the Powerlocks to disintegrate in a matter of months. The absolute main issue Everlast Powerlock gloves have is the price. These cost an insane $150. Mine were on sale for $119 and with an extra 25% off the total went for $95. Personally I feel like I overpaid but that’s also because a bigger sale happened just days after I got these. 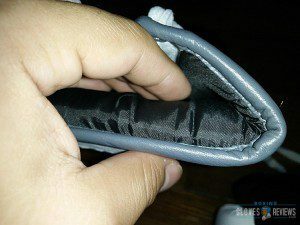 While the performance and protection justify a price around $90, the quality control and potentially bad durability call for a price closer to $60-$80. I have owned $70 gloves with better quality materials and construction than these $150 gloves. Understand that when you buy Everlast you’re mainly buying the popularity, not the performance and definitely not the quality. The good thing is that you can probably find these going on sale every now and then. 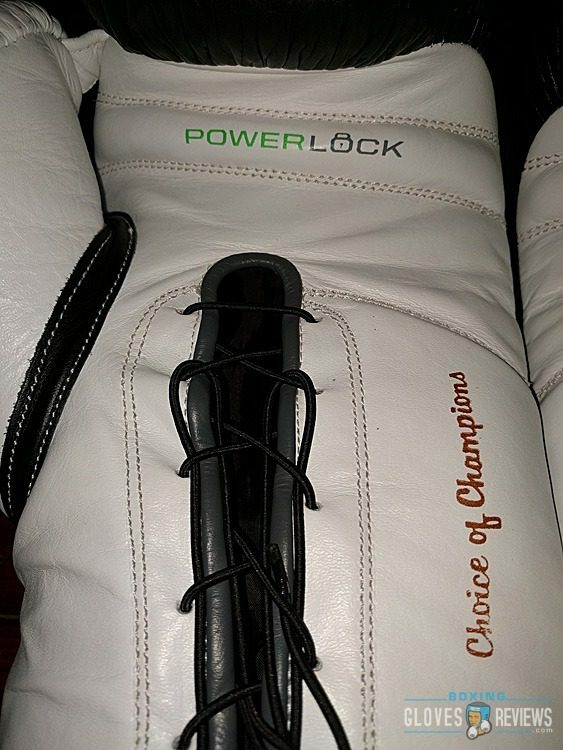 If you get Everlast Powerlock for under $90 you’ll definitely get a glove worth your money but if you paid $150 then you overpaid and could have gotten some custom made gloves instead. 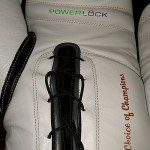 What do you think about Everlast Powerlock? Write a review bellow.